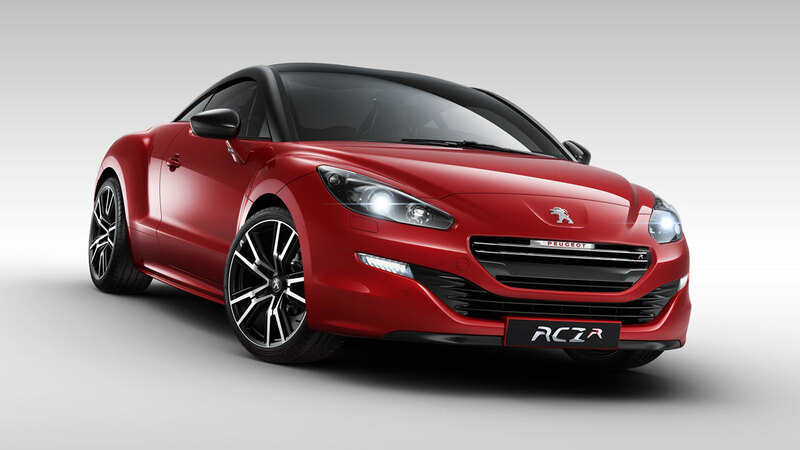 This year Peugeot unveiled the RCZ R at the Goodwood Festival of Speed, a super-performance version of its popular Sports Coupé, evolved from the expertise of the brand in terms of design and driving experience. With 270bhp (199kW) RCZ R is the most powerful production model in Peugeot’s long and illustrious history. The RCZ R accelerates from 0 to 62mph in less than six-seconds and demonstrates the expertise of the brand with CO2 contained at only 145g/km, which leads the category of performance Sports Coupés. This is achieved by utilising the downsizing capacity of the engine, saving weight and ensuring aerodynamic optimisation. 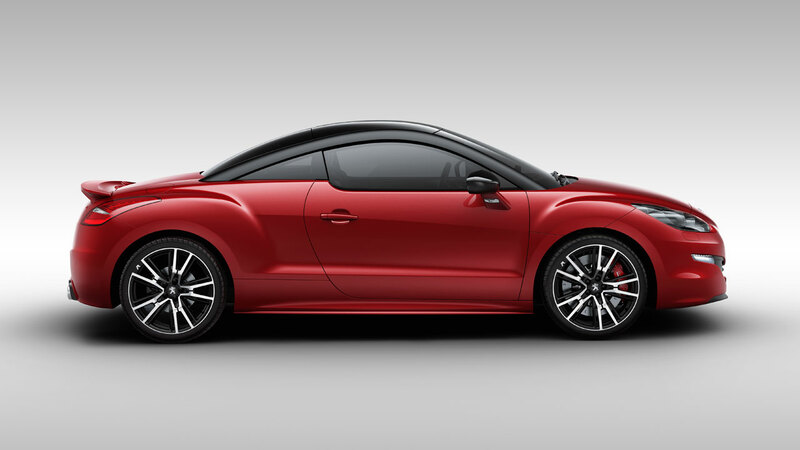 Matt black roof arches distinguish and adorn the RCZ R. Its suspension is lowered by 10mm and the alloy wheels are 19 inches in diameter to optimise grip and give the RCZ R an expressive posture. Its bespoke alloys have a two-tone diamond / black matt, technical and sporty finish with an ‘R’ monogram milled directly onto a visible part of the alloy wheel. They have been designed to accommodate and optimise the cooling of new larger brakes, the red calipers at the front are signed ‘Peugeot Sport’. The perfectly integrated large fixed rear spoiler, ensures better downforce while stretching the silhouette’s rear profile view. 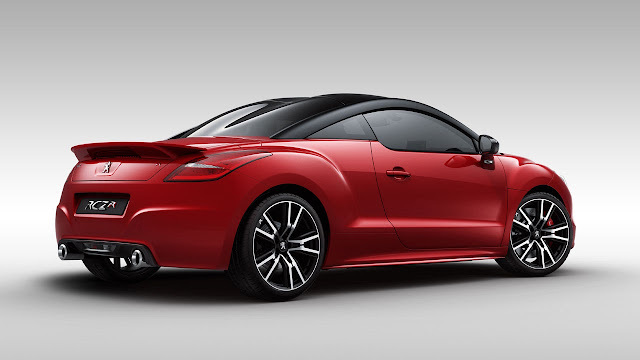 A specific rear diffuser meets the smooth effect that characterises the back of RCZ and includes two chromed exhaust pipes, located symmetrically, and a reworked exhaust system for performance and sound. 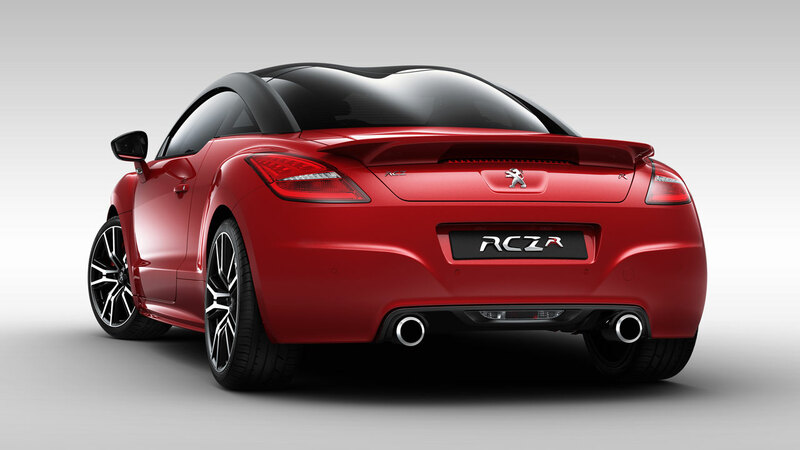 A Peugeot monogrammed ‘R’ in red lettering is identified on the grille and also placed on the boot lid as a signature ‘RCZ R’. Opening the door reveals a cockpit of purpose, dedicated to delighting the sensations of the driver it instantly immerses the ‘driver’ in a sporting, subtly elitist atmosphere. 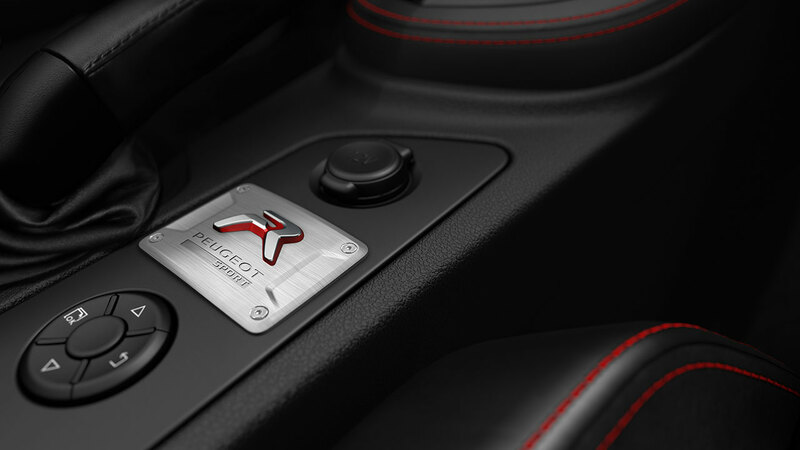 From the ‘Peugeot Sport’ embossed sills, to the quality of detailing of the red stitching on the dashboard, and leather steering wheel, gear lever gaiter, door panels, armrests and seats – all contribute to an appealing and sporty interior ambience. The seats are specifically of a new sports design, dressed in a mix of full grain Nappa leather and black Alcantara and branded with the monogram ‘R’. On the centre console a chrome plate confirms the character with a red inscribed ‘R’ emerging from a certification plate of brushed aluminium with four visible screw fixings. Inspired by aviation, it symbolises the hallmark of ‘Peugeot Sport’. 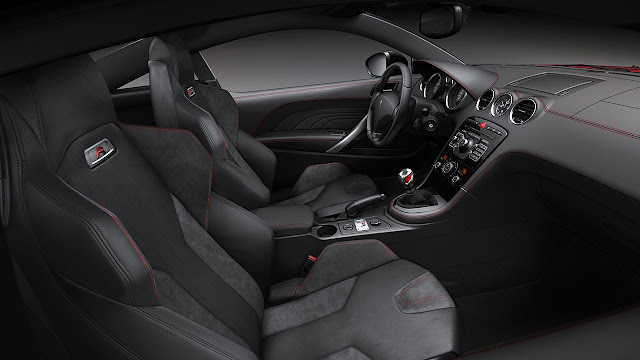 "The search for performance and efficiency evolved through a race-bred programme has guided many choices during the RCZ R’s development, including the design and specification of the drivetrain, gearbox, brakes and tyres beyond the usual criteria, in order to allow the most enthusiastic drivers to perform." Budar Pierre, Project Manager RCZ R.
The low centre of gravity, aerodynamic performance, improved suspension settings (wider track, camber angle, wider rims of +0.5”) and Goodyear Eagle F1 Asymmetric 235/40 R19 tyres optimise adhesion and ensure outstanding road holding. The suspension has a new specification of dampers, increased stiffness of springs and a stiffer anti-roll bar, that allows for great handling and agility. The Torsen® differential enables the engine to be fully exploited with maximum torque from 1900rpm to give the RCZ R good braking and cornering stability, especially when tackling tight corners. The performance and agility of the RCZ R is the result of many sessions of development and validations on and off track, especially with Peugeot Sport’s test drivers. * The THP engine was recently awarded the International Engine of the Year 2013 for the seventh year in succession.